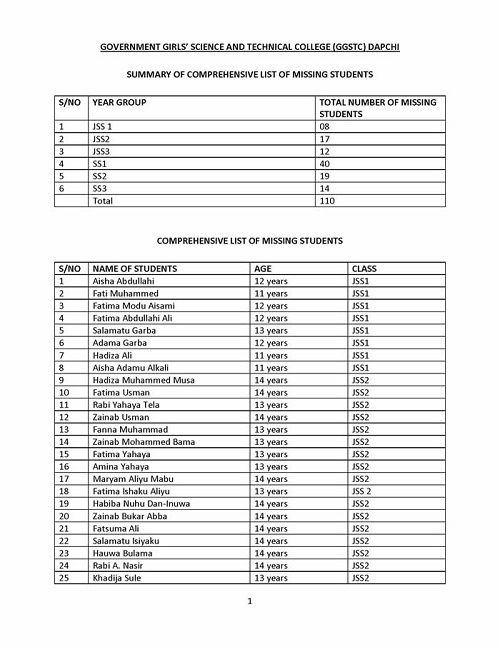 The Nigerian Government has finally released the names and other details of the 110 girls who are yet to be accounted for, following the attack on the Government Girls Science and Technical College, Dapchi, Yobe State, on February 19. 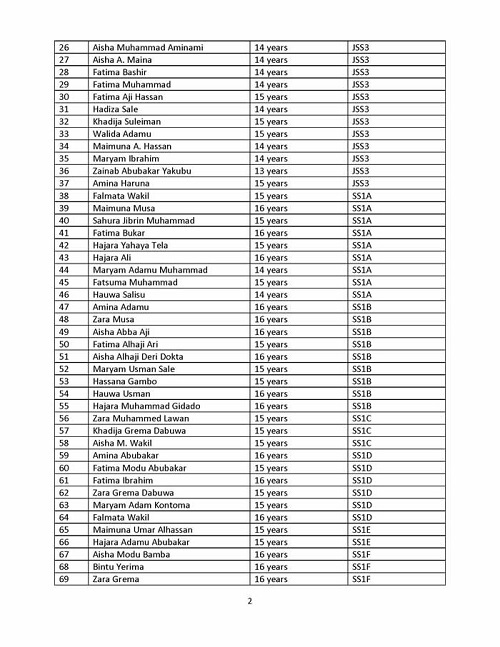 The list was contained in a statement issued in Abuja on Tuesday by the Minister of Information and Culture, Lai Mohammed, who had twice led a Federal Government delegation to Yobe since the tragic incident occurred. 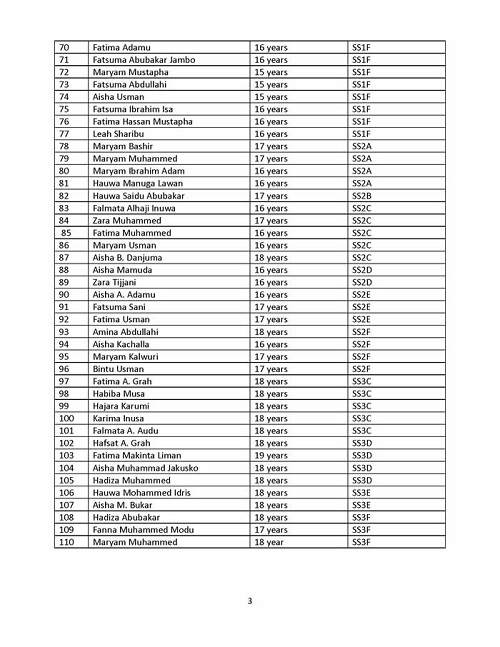 The list, which the minister said was handed over to him by the Yobe State Government, contains the name, age, and class of each of the 110 students.